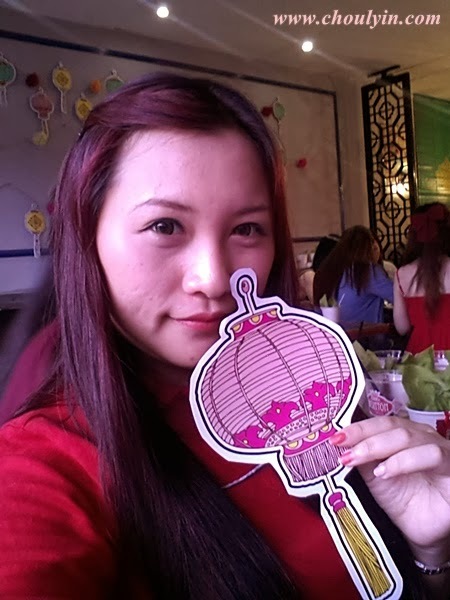 Happy Chinese New Year!!!!! 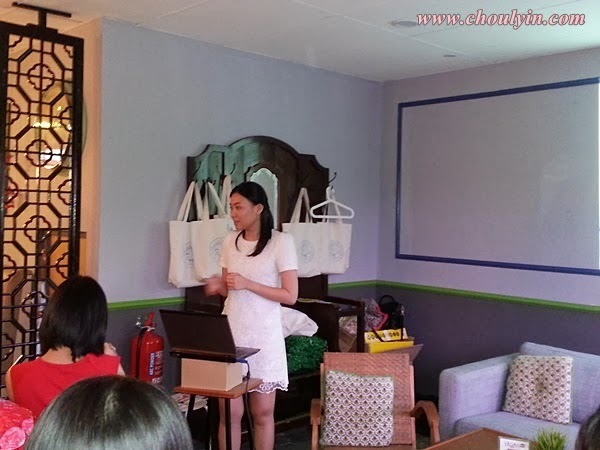 In my first post for February, I would like to bring to you an event that I have attended recently from a very famous brand, Yadah! 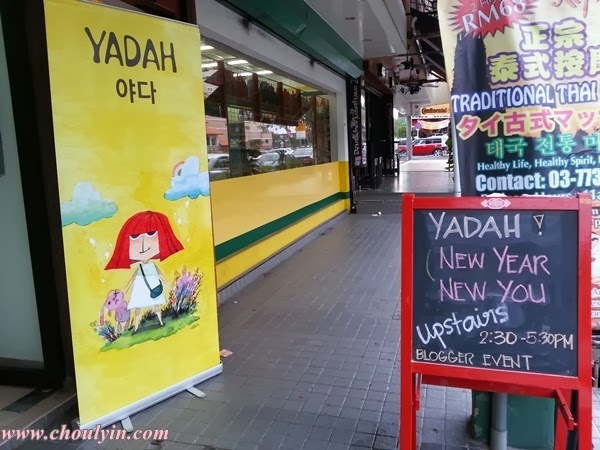 Did you know, that Yadah actually means grateful in Hebrew? I didn't know that until Missy pointed it out to me. Yes, there are many things that I am grateful for in life, and the new year has brought closer to home my resolutions for the year. 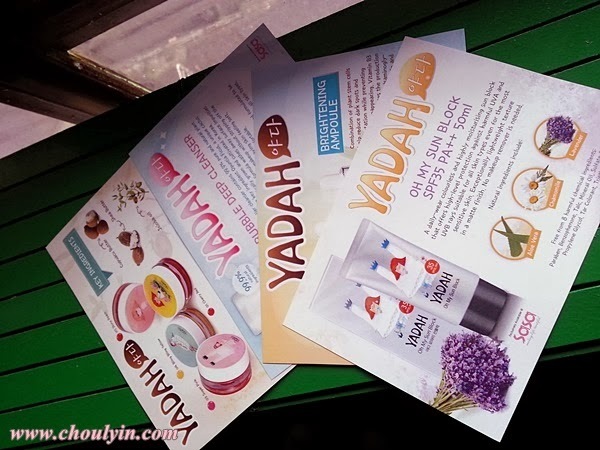 Thanks to TBP, I got the invitation to attend Yadah's New Year New You event last January, where we were introduced to a few of their new products that were recently launched, and we got to test them out! 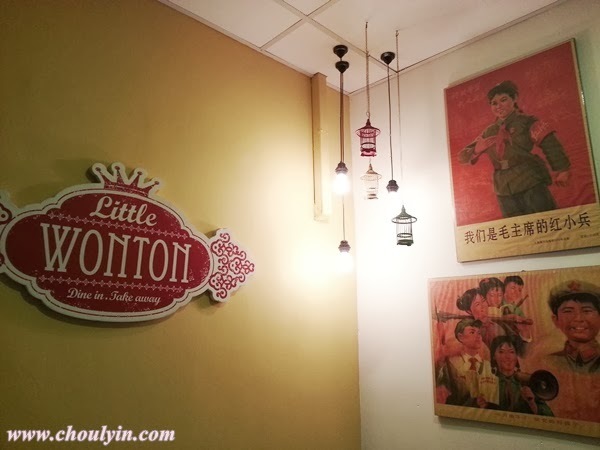 The event was held at Little Wonton, a quaint little place that serves delicious charcoal noodles :) It's located in TTDI, new 99 Supermart, on the first floor. 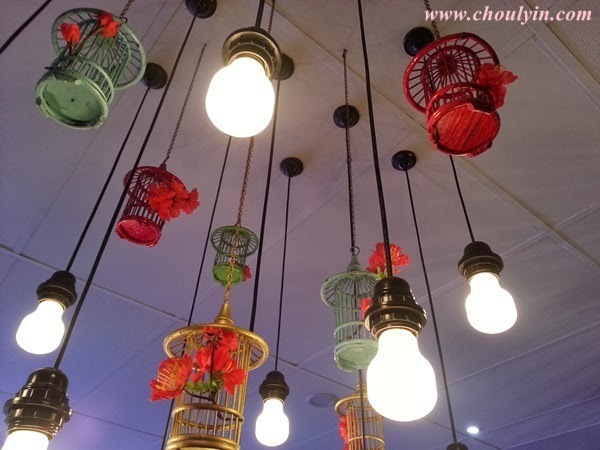 When you come up the steps, you will see the Little Wonton sign, and you will be hit with a sense of nostalgia, as they have decorated the place to the nines with 'Shanghai Noon' feel. 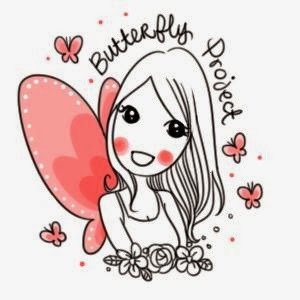 We were given these fliers to help us understand a little bit more about the products that we will be trying out, and we were asked to provide our feedback for the products that we have tested. 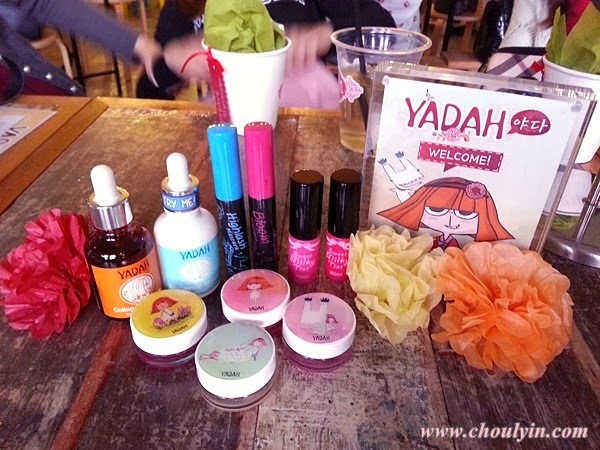 There were a lot of Yadah products on display that day, and we got to try their bestselling product, the Bubble Deep Cleanser (far left). 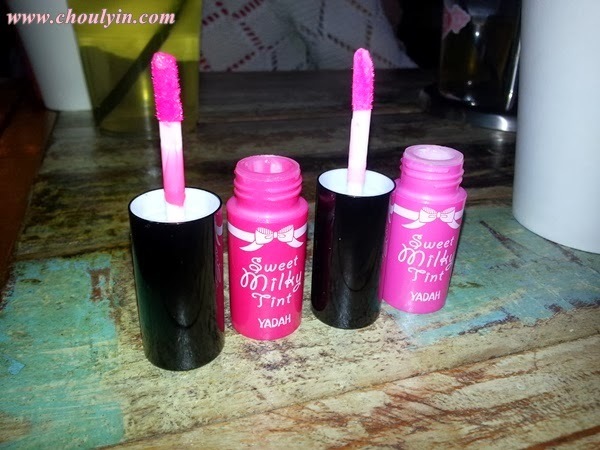 It comes in a pump bottle, and when you pump it out, the product comes out in bubble form. We were given two types of eyeliners to try it out. Gel type (smiley face), and liquid liner. As you can see in the insta pic above, you just need a little bit of foam. Just rub gently on the liner (as demonstrated by Amelie), and after a while of gently massaging, you will notice that the foam has turned darker, and become more grayish. Wipe (or wash) it off gently, and voila! All the eyeliner has disappeared! Yes, including the gel one :D This is a super awesome product! The Yadah Moisturising Cactus Mist (Fruit Garden) can be used for added natural skin hydration be it outdoors or indoors. It permeates easily into the epidermis and works for 24 hours. This product contains the botanical extracts of Opuntia Ficus, betaine from sugar cane and glycerine to condition and moisturise skin especially in an air-conditioned dry environment or under the sun. Key ingredient Opuntia Ficus is a unique cactus species organically grown and cultivated in Korea known for its strong anti-inflammatory and high potent anti-oxidant benefits that also improves the retention of moisture in the skin. 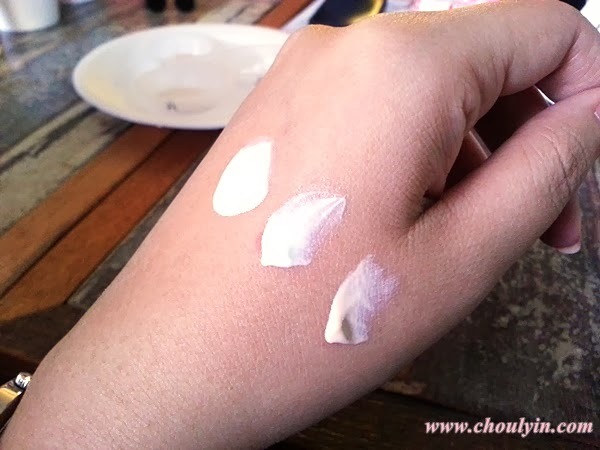 According to Yadah, it can be used as a substitute for your daily skin lotion, both night and day. 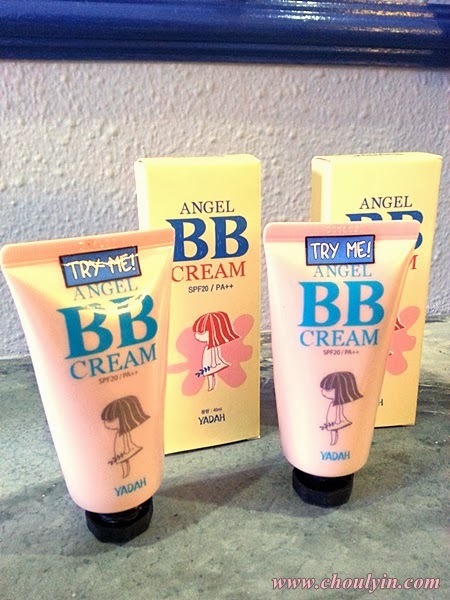 Yadah's Angel BB Cream is a multi-function cream that acts as a moisturizer, sun block, anti-wrinkle, concealer, make-up primer, skin brightener & oil control cream. It is 100% hypo allergenic, and is non comedogenic. It contains botanical vitamins such as vitamin E, and blends into the skin to correct the skin tone naturally with sheer velvety smooth texture to conceal blemishes & discoloration of the face. It has a fresh & light texture, and is suitable for all skin types, even sensitive skin to create a healthy & radiant complexion. 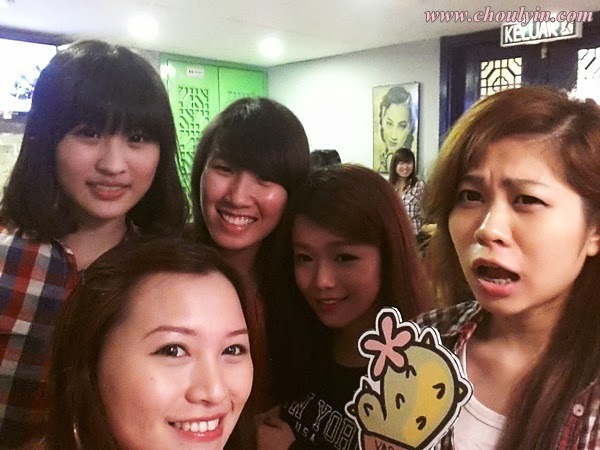 Before the event started, there was a lot of camwhoring around :p I'm glad to be able to continue my beauty journey with all these beautiful girls, and I look forward to continue this journey with all of you til the end! 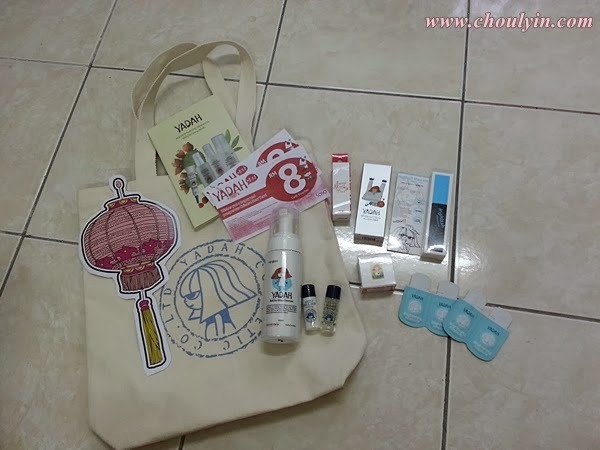 All the products that we were given to test out that day!!! This tint gives both lips and cheeks a sweet tint that's either a little red (cherry), or pinkish (pinky). 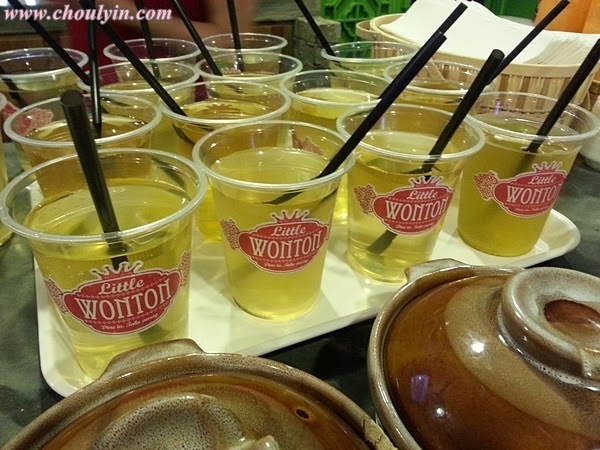 It has fruit extract as the main ingredient, containing a sweet fragrance and natural color. It is allergy-free, non-sticky, and non-greasy. 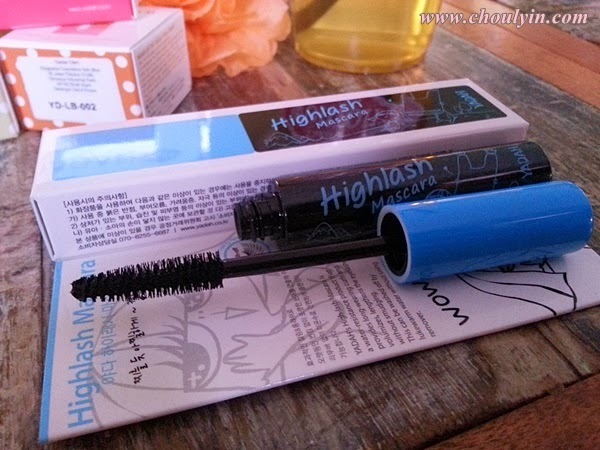 The Highlash Mascara extends the lash length while providing a smudge-free definition that is water-resistant. 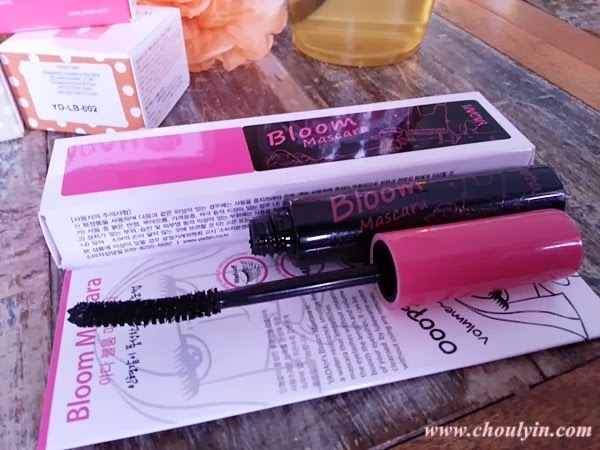 The Bloom Mascara gives a more superior lash volume and length without smudging, and is water-resistant. So how do you want to gain super long eyelashes with a high amount of volume? Use them both together! One of their new products was the Sunscreen, and this was actually the highlight of the day. 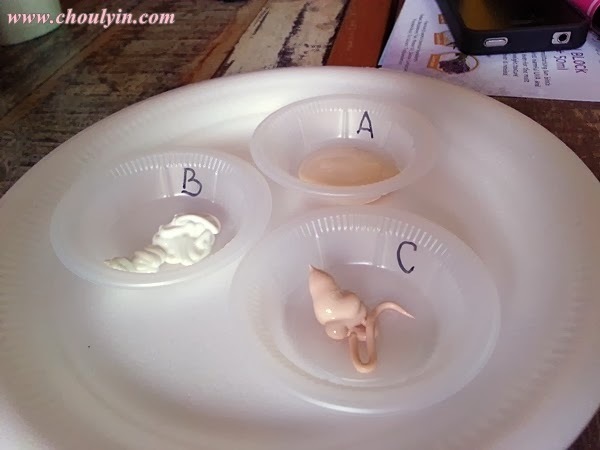 We were given three samples of sunscreen to try, labeled A, B, and C respectively. 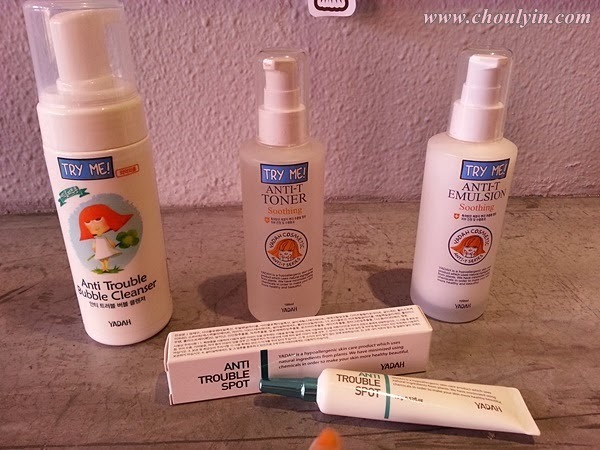 After trying on all the three products, we were asked which one we liked best. Not surprising, I loved product C the most. So what are the brands of these products? 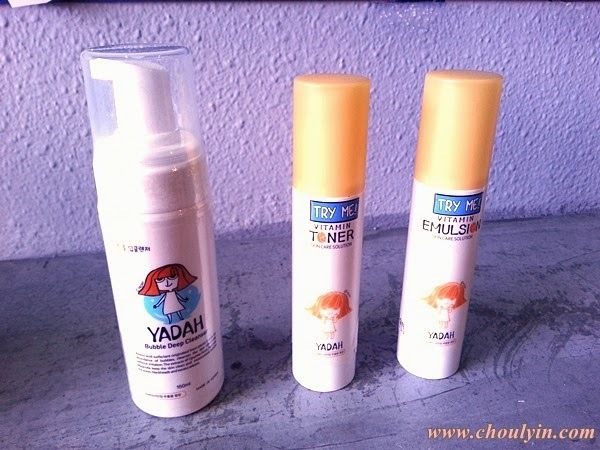 The Yadah Oh My Sunblock costs RM36 for a 50ml tube. If you noticed, the SPF formulation was dropped from 40 to 35 because it will contain a lower level of zinc, which is harmful to the skin. 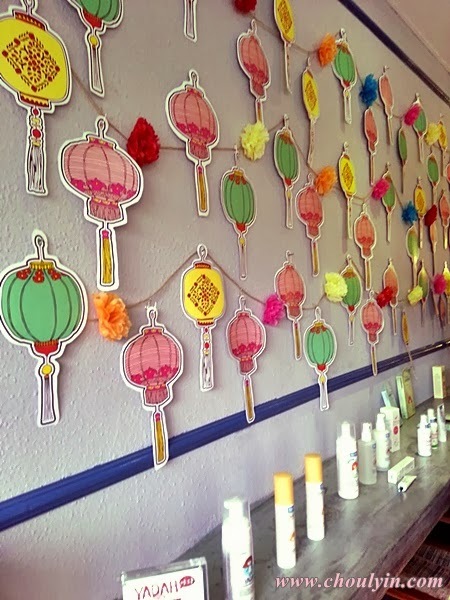 And we found out that having a higher SPF doesn't necessarily mean that you will get more protection from the sun. It just means you can stay out in the sun a little while longer, but just a little. 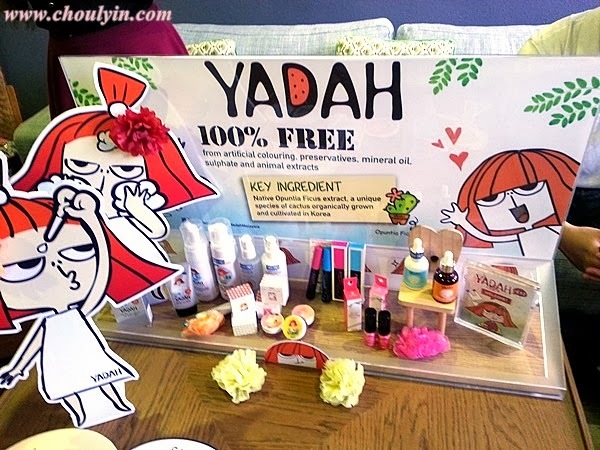 The last product we were asked to try out was the Yadah Lip Tint Balm which is able to bring out the natural colour of your lips. 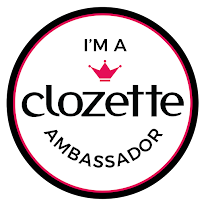 It is uniquely formulated with a melting gel complex ingredient which dissolves under human body temperature to keep lips naturally soft and hydrated. Enriched with cupuacu butter, shea butter, sunflower seed oil and jojoba oil which act as natural lip conditioners in combination with tomato, gromwell and moroheiya for its natural colour pigments. 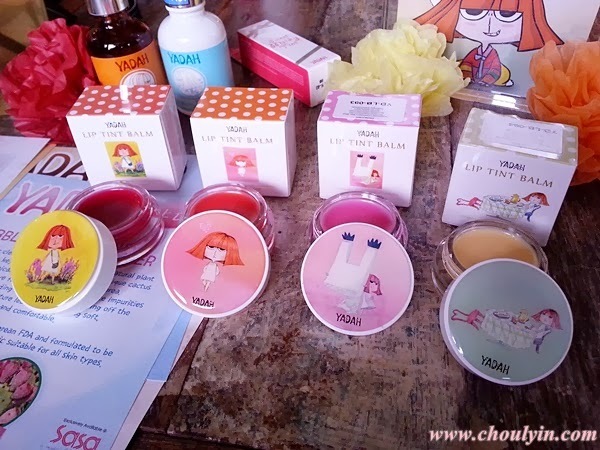 The lip tint balms are available in 4 flavours in a typical Yadah collectible pot. They are 01 Cherry Red, 02 Shiny Peach, 03 Sugar Pink and 04 Bling Bling Yellow which is colourless. And to show how effective the lip tint was, there was a challenge where they invited two butterflies up to try it on, and then finish a bowl of noodles in under 15 seconds. The one who manages to win the challenge will get to bring back a prize! So the bell rang, and Jennifer finished everything in time! 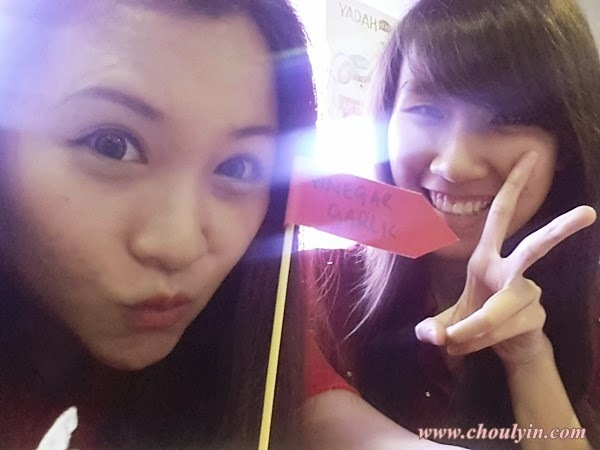 Memang superwoman lo that lady. After all the excitement was over, they were asked to show us their lips and true enough, the lip tint colour was still there! Some of the other butterflies there that day :) Loved hanging out with them. I've learnt a lot from them, and we have also shared many experiences. All these products are now out in stores, and if you happen to pass by any SaSa outlet, please do not hesitate to head in there and try them out! 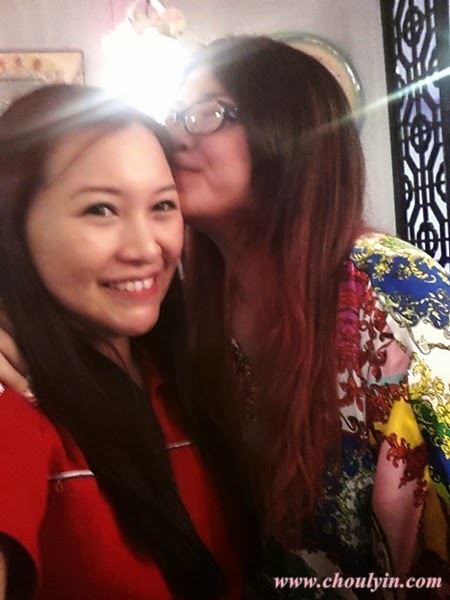 I would like to take this opportunity to give special thanks to dear Mamasan Tammy for making all this possible for me :) Without her I would not have so many opportunities to meet so many awesome people and try out all these products. Oh and you know what the best thing was? 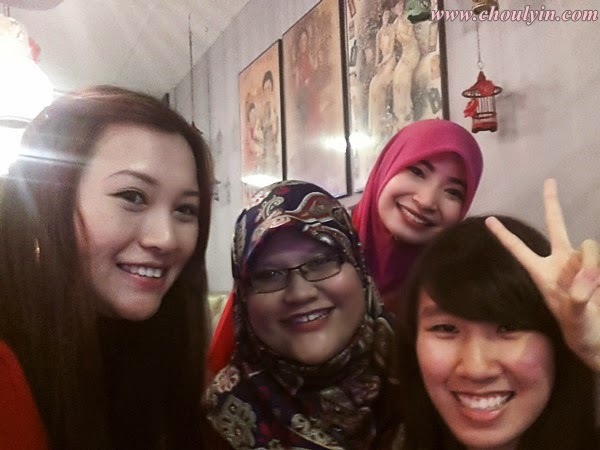 We were featured in Utusan Malaysia! Thank you Yadah for the opportunity, and thanks TBP for making this all happen! Yada in Japanese though, means I don't want or I don't like. Basically a negative response depending on the context. LOL. lol then we're lucky it's not in Japanese >.< hhehehe thanks for the wish!